Small application to demonstrate the use of 2D text and 3D text features of TOpenGLAPPanel. I stumbled on your pages while trying to track down an issue with TOpenGLPanel. The TOpenGLPanel that I am using is a modified version of something originally done by Daniel Plakosh, so it is not one of your classes but its quite similiar. They may have common ancestry. Anyway, the issue I have is that I would like to direct the openGL output to a bitmap instead of to the screen. I’d also like to determine the Canvas of the bitmap so I can use it in a call to UpdateLayeredWindow. You may need to login there to see it. 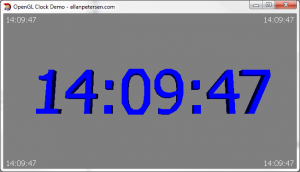 The issue is that I would like to take the output of my openGL calls, and pass the resultant bitmap to UpdateLayeredWindow so that windows can do full pixel-based alpha-blending of the result to the screen – much as is done by Yahoo widgets. Do you have any ideas on that? Also, as I mentioned I was using an old version of TOPenGLPanel from Plakosh, but that I have modified over the years. Is it worth the two of us comparing what we have ended up with to see if either of us can improve on the panel code? P.S. I develope currently using C++Bulder09. but is has been a while since I last played with it. but this forces OpenGL to run in software mode and this is slow. Another method could be to draw to the back buffer, and read the pixels from there (glReadBuffer(GL_BACK)) into a bitmap, this should be a lot faster. The AlphaBlend feature of RAD Studio 2010 is working fine with OpenGL, and the entire window will blend nicely, just try to enable it in one of my demos, but I don’t know if 2009 edition is the same. 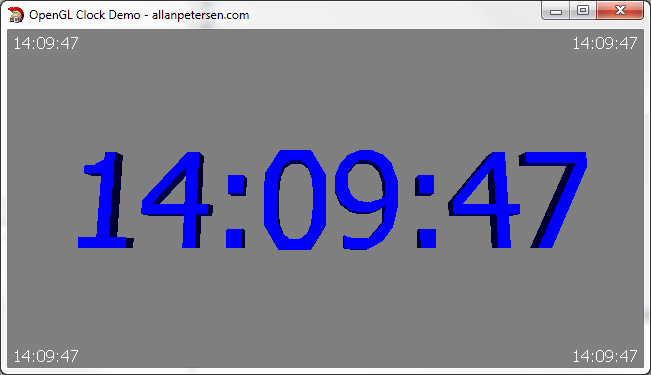 I will try to recreate a demo that renders to a bitmap, so the UpdateLayeredWindow() feature can be used. Some years ago I downloaded and excellent package written by daniel Plakosh, OpenGLPanel_DP.bpk, which I have been using for 10 years with Borland C++ Builder4. I have a lot f dedicated programmimg usig this implementation to plot 3d radiation patterns for antennas. I have now upgraded to Embarcadero C++Builder2010 running in an i7-930 CPU with 12 GB RAM, and need an OpenGL package which will accept my legacy cde with minimum modifications. I would be most grateful fr any advice you can give. My TOpenGLPanel and his is very similar, and I think it was created around the same time, but can’t really remember. The easiest would be to simply compile your existing component in C++Builder 2010, it should require a minimum of effort to do that. Create a new package and include the same source files. You can also use my component, and make some defined for the name changes (#define TOpenGLPanel TOpenGLAPPanel). What version are you migrating from ? Hi, thank you for creating the TOpenGLAPPanel component. I’m running Win 7 64bit ultimate and here it runs just fine. AMD/ATI or Nvidia card will work fine with normal drivers installed. Maybe you just need to run as administrator.